As the pet humanization trend grows stronger and stronger, consumers are always on the look out for cat and dog food that meets their ever-changing needs. In the U.S. today, 95% of pet owners consider their pets to be a part of the family. With pet food accounting for 76% of the pet care category, it makes sense that manufacturers today are doing the best they can to meet today's pet parent's needs. One of those needs includes feeding their cat or dog food that they themselves can not only understand, but also even consider eating! Offering cat food or dog food with limited ingredients is a great way to meet these needs. However, the question soon becomes, what's so great about limited ingredients in pet food, anyway? One of the best parts about having cat or dog food with a small number of ingredients is the easy-to-understand ingredient panel. Now that pets are largely being considered as part of the family, owners want high quality food that they would want to feed their children, and have started shopping more like a parent than an owner. Additionally, like a parent, pet owners want to know what is going in their beloved furries, and would prefer to do so without requiring a chemistry degree. As you can see, many of these ingredients are self-explanatory and gives the consumer the confidence to make an educated decision on their pet's diet. The limited number of ingredients not only means there aren't very many words to read on the back of the packaging, but also that there is less of a chance for additives or fillers. 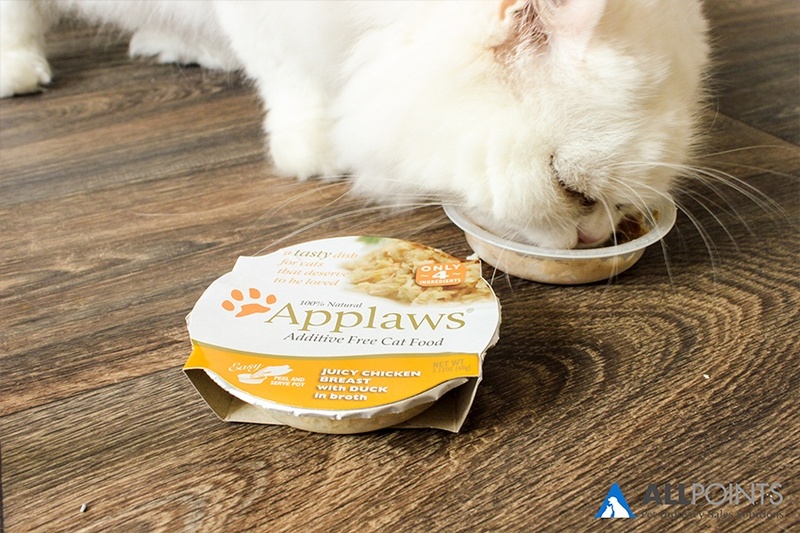 For example, Applaws offers cat and dog food that is 100% natural, without any of the additives you might find in other pet food. This means there is no Guar Gum, Dicalcium Phosphate, Choline Chloride, or any other ingredients that aren't part of a cat's natural diet. Each of their products contains 75% meat with three or four additional natural ingredients (such as pumpkin or shrimp, for example). One more reason why limited ingredient and additive-free diets are best is because the food is easier on the pet's digestive tract as there are no chemically processed or produced ingredients in the food. This means there is less for the pet's digestive system to break down, or break through, to gain the nutrition from the meat and natural ingredients themselves. "Real vitamins are living complexes that contribute to other living complexes like cell repair, circulatory activities and collagen production. They coexist in food with other living complexes like enzymes and essential trace minerals and they all function synergistically." However, the synthetic vitamins are the reason why many pets these days are harmed by vitamin toxicity. It's virtually impossible for real, all-natural vitamins to cause a toxicity, but it happens all the time with synthetic vitamins. Having limited ingredients makes it easy for your customers to customize their pet's diet based on their individual needs. For example, if a cat is allergic to chicken, the customer will simply be able to pick up some tuna-based cat food. Additionally, with fewer (or no) preservatives or additives, there is less of a chance for cat or dog allergies or sensitivities related to diet. Another benefit is the ability to customize a diet based on nutrition, versus what type of ingredients are listed. According to a recent article, cats actually choose their food based on nutritional content, rather than flavor or any other element. While the taste of the cat's food may be important initially, they eventually "learn about the fat and protein content in their food and regulate their intake to reach a target ratio of these nutrients" (Pet Food Industry). There are many other benefits to having limited ingredients in cat and dog food. Customers are able to shop quicker as it takes them less time to read the ingredient label, resulting in less frustration and potentially larger baskets as they go to check out. While we could spend all day discussing the benefits of limited ingredient food, it's really just as simple as it sounds. And with nothing added, nothing hidden, what is there really to stop your customer from making a great decision? What else do you see being a popular trend with pet food in your store? Comment below!